Grants Managers: Are You Getting the Most Out of Your Foundation’s Data? Grants managers have always been at the center of data collection and analysis for foundations. Whether the data is related to improving grantmaking processes, evaluating grant proposals, or assessing the impact of a program, it’s a sure bet that a grants manager is involved in some formative way. Recently though, advancements in technology have not only improved data efficiency and precision for grants managers and foundations but have also enabled them to be more collaborative and strategic. Many funders already dive deeper into their own data, teasing apart grantmaking trends and patterns that help them inform decisions internally. 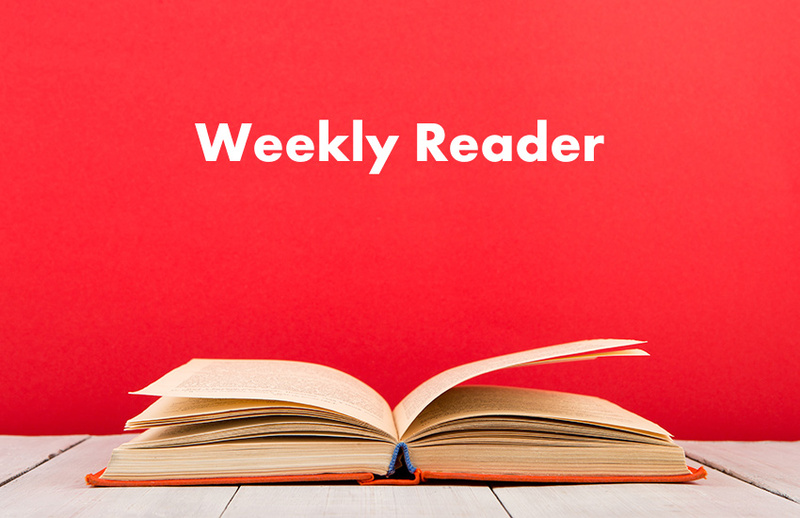 The insights they gather can help improve internal grantmaking processes and strengthen their relationships with grantees and the rest of the community. What’s more, diving into their data can also reveal insights in better evaluating their impact and the factors that may contribute to it. It also can reveal deficiencies in their data, including what data is needed to examine new questions. In short, it allows them to not only be more effective grantmakers but also understand exactly the impact they are having on the issues they care about. But gaining this critical knowledge comes with challenges. Not every grantmaker has the time, resources, or expertise to make sense of the growing stream of available data. Additionally, each team within the funding organization uses data in a different way. The board, executive team, program, and operations each have their own preferences and priorities in terms of what data to collect and what insights they’re looking for. To top it off, turning around a “that’s-not-the-way-we’ve-always-done-things” mindset can be an uphill battle, though not insurmountable. Despite these challenges, I’m encouraged by the immense potential of data. The question I return to again and again is, What could we do (both internally and externally) if we overcame these challenges? We could undertake an even more comprehensive examination of our internal systems and processes. We could learn so much more about the impact we’re having and the factors contributing to it, not only within a single program, but across the foundation, and even sector wide. And when we take what we’ve learned (about our successes and “failures”) and share it externally, we’ll have a better shot at making change on some of the most intractable problems we face. This is the question I posed to Adriana Jimenez, Director of Grants Management at the American Society for the Prevention of Cruelty to Animals (ASPCA) and Gwyneth Tripp, Grants & Contracts Manager at the Blue Shield of California Foundation. They had so many great actionable tips and suggestions we decided to go live with our conversation on Wednesday, July 26. 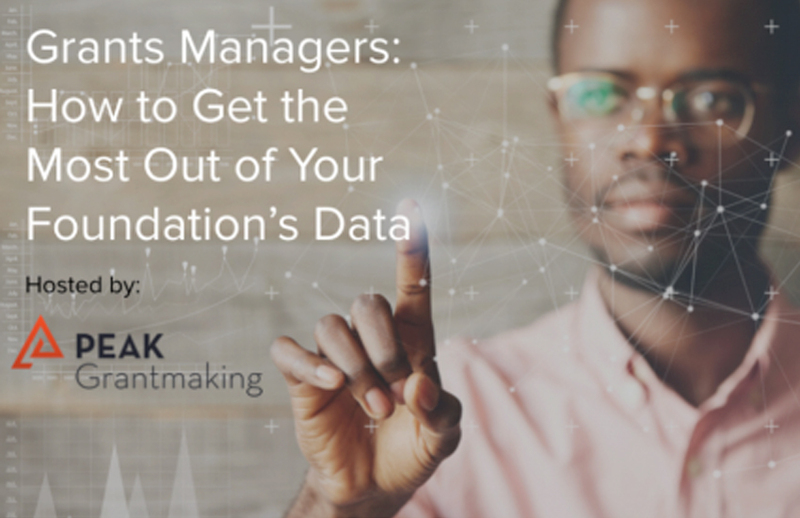 I hope you’ll join us for our webinar, hosted by PEAK Grantmaking, Grants Managers: How to Get the Most Out of Your Foundation’s Data, where Adriana, Gwyneth, and I will discuss the challenges and opportunities that data can provide us. You’ll walk away with 5 actionable steps to begin using your data more strategically for more effective grantmaking. I don’t take the challenges to making this happen lightly. But if we don’t take the first steps, we’ll never begin the journey.